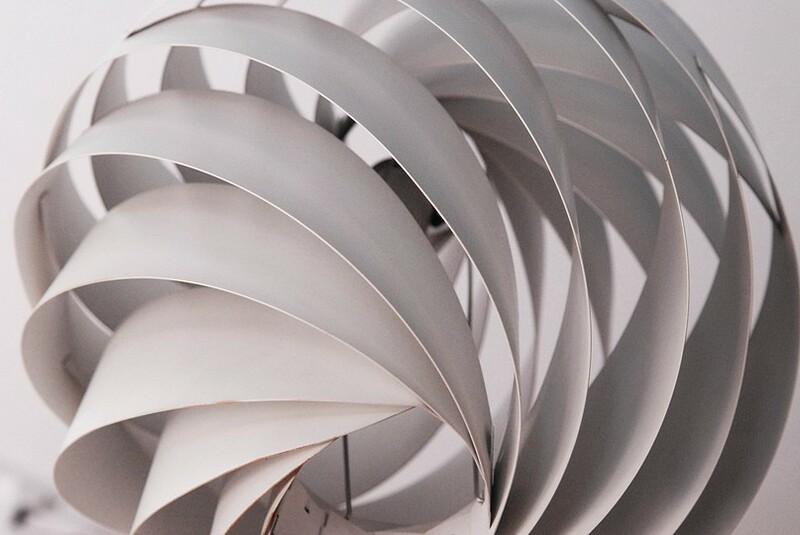 Louis Weisdorf (born 1939) graduated from the Royal Danish Academy of Fine Arts´ School of Architecture in 1954. Weisdorf was active in graphic-, interior- and industrial design, working with Verner Panton, Poul Henningsen and Le Klint. 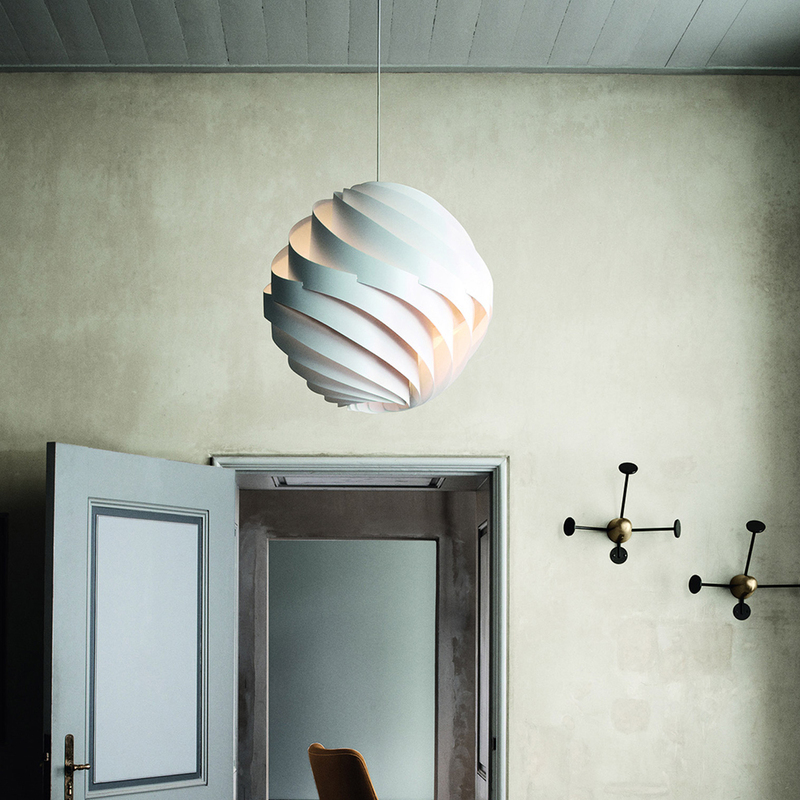 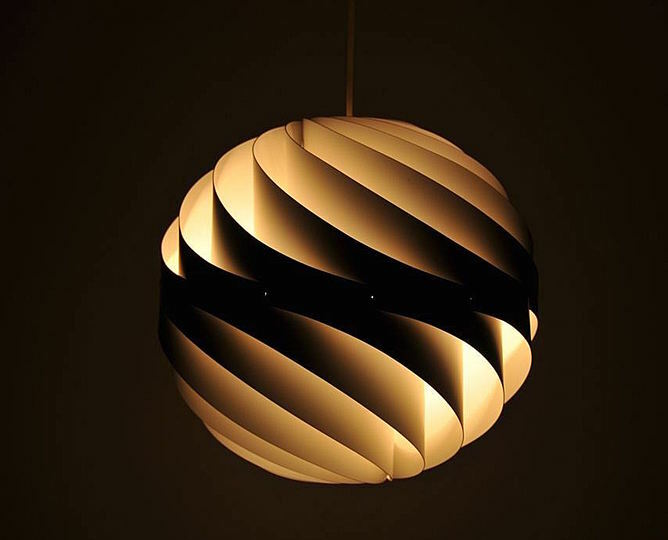 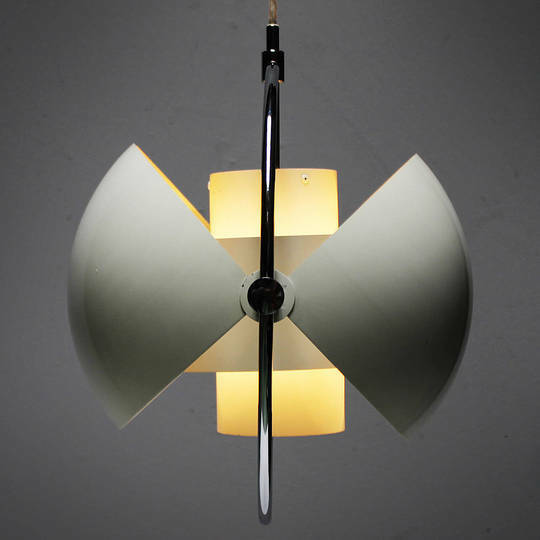 Louis Weisdorf created the design for his Turbo pendant light in 1965, and in 1967 Lyfa was ready to start production. 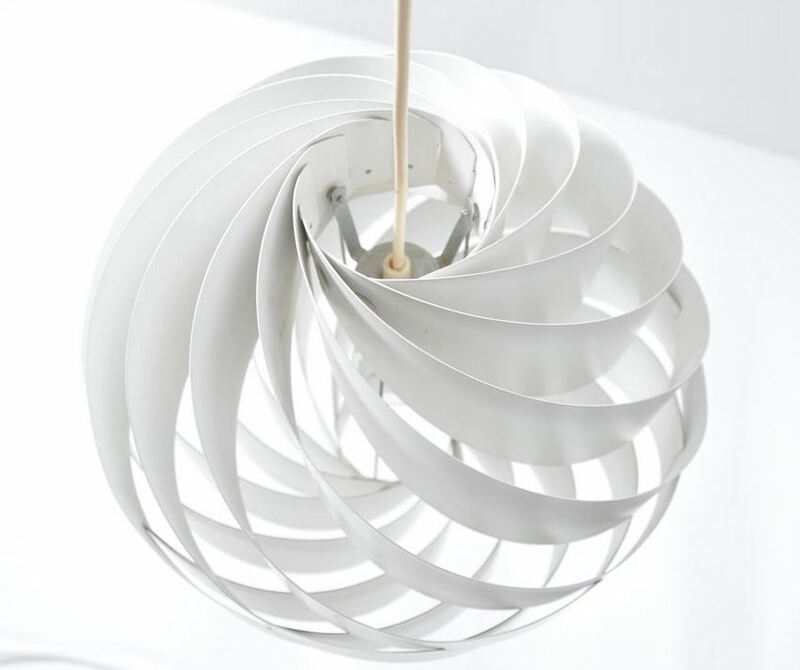 Consisting of 12 uniform aluminium lamellae spiral-twisted to form a flower-like sphere, the Turbo was partly inspired by Japanese rice-paper lanterns, and came in two sizes – the 35cm diameter Turbo I (available in orange, red, beige or white) and the 60cm Turbo II (in white only). The Turbo was winning an iF (Die gute Industrieform) product design award in 1973, and remained in production well into the 1970s. In 1991 a new version of the Turbo was put into production by Lyskjær-Lyfa, without the knowledge or approval of Louis Weisdorf. 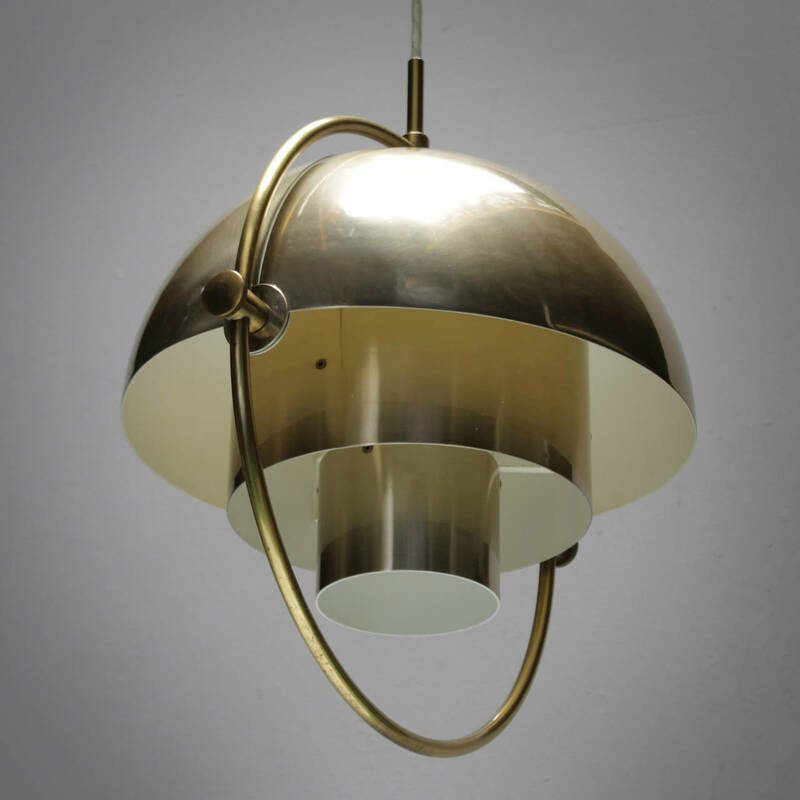 Renamed Regina and made of steel, the lamp was so heavy it had to be suspended by a wire. 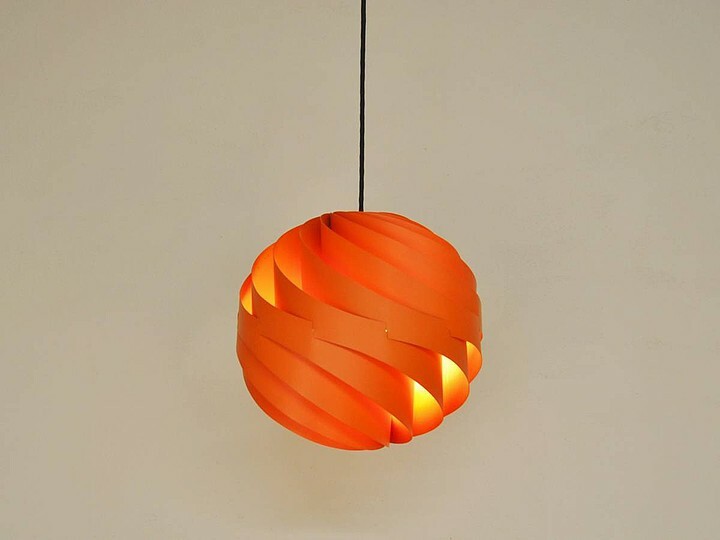 Weisdorf took the company to court and sales were halted. 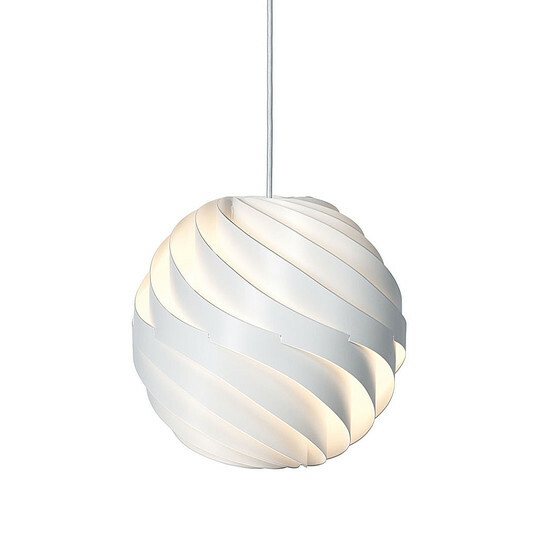 In 2004 the Turbo was reissued again in white versions. Among Louis Weisdorf’s 1970s lamp designs, the Multi-Lite is one of the few to be taken into production. 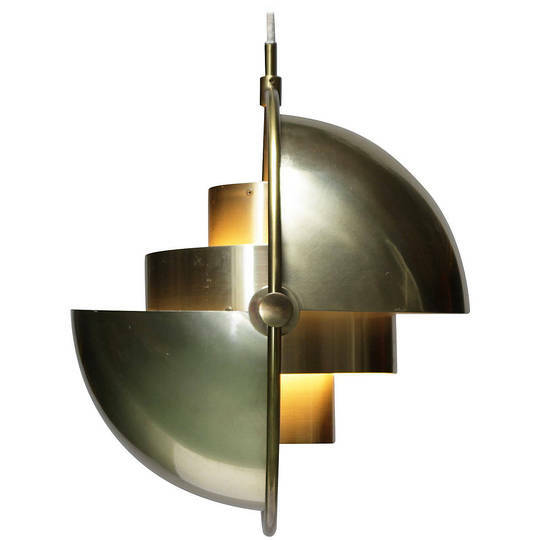 The core of the Multi-Lite is a two-cylinder form that would work as a shade on its own but is additionally encompassed by a large metal ring anchoring two quarter-spherical shells. The shells can be individually rotated to create multiple arrangement combinations. Weisdorf made the drawings for the Multi-Lite in 1972 and Lyfa produced it from 1974. 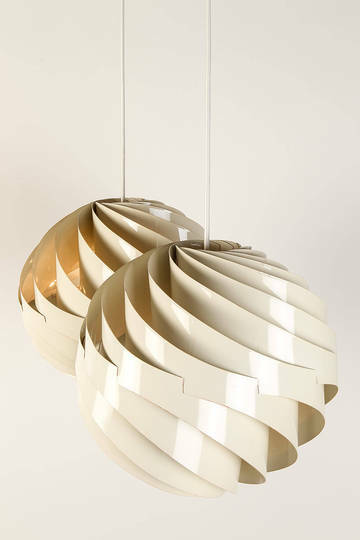 It came out in two colours – one in white with a chrome ring, and the other in matt-finished brass with a white interior.